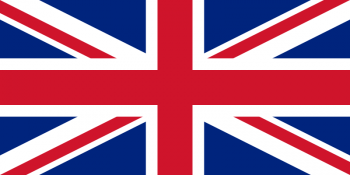 A Rocksteady Studios director believes that the UK could be a major player in game development, as soon as it can stand toe-to-toe with Canada. Rocksteady Studios has two Batman games under its belt that essentially made the character a viable videogame protagonist for the first time in years. While Rocksteady racks up accolades and cash, it's easy to forget that its great success is hardly indicative of the rest of the UK's game development scene. The last few years have forced some prominent UK studios to shut down, and the siren song of North American development has lured away much British-born talent. Arkham City's director believes that the UK can keep its developers from straying too far from their green and pleasant land, but not without offering comparable economic incentives to those in North America, and Montreal in particular. "A lot of my friends have moved abroad to get work; there's a real talent drain," says director Sefton Hill. According to Hill, the way to stay competitive in the global market is to encourage the government to support game studios. "Montreal is a central place for development and it's mainly because the tax breaks they give are so phenomenal." Hill reflects on studios like Bizarre Creations and Black Rock, which went out of business last year in spite of developing creative, fairly successful games. "Those guys were so talented so how can that happen? ... It's such a big industry now and we could be world leaders." Hill also discusses the UK's contributions to home computing, and how it is very much a country of passionate gamers. "The only reason I got into the industry is because I love games, not for any other reason," he explains. "Moreover, I'm probably not qualified for any other job." Given that many British developers find themselves in North American studios and Montreal hosts a sizeable game development scene, Hill has some suggestive evidence on his side. Of course, tax breaks in and of themselves cannot promise anything; money and talent alone do not guarantee a good game, and a good game does not guarantee a profit. On the other hand, more games developed in the UK could mean more voiceovers with charming British accents, and that's a win for everyone.